CANTON, Ohio, September 7, 2017 – US Acute Care Solutions (USACS) and Summa Health today announced the appointment of Dr. David Seaberg as chair of the Department of Emergency Medicine at Summa. Dr. Seaberg brings more than 25 years of emergency medicine experience, leading numerous clinical and academic departments and developing multiple residency programs. In his role as department chair, Dr. Seaberg will be responsible for overseeing the strategic direction for all clinical and non-clinical aspects of Summa’s emergency medicine program. This includes new initiatives in the treatment of patients and programs aimed at enhancing patient experience. He also will lead Summa’s work in restarting its emergency medicine residency program in collaboration with the Accreditation Council for Graduate Medical Education. Concurrently, Dr. Seaberg will work with the seven other USACS emergency residency programs to ensure and improve world-class graduate medical education at USACS. Prior to joining Summa, Dr. Seaberg held a variety of clinical and academic positions locally and across the nation. Most recently he worked at the University of Tennessee, where he served as chair of the Department of Emergency Medicine, the inaugural dean of the College of Medicine and a professor in the Departments of Emergency Medicine and Surgery. 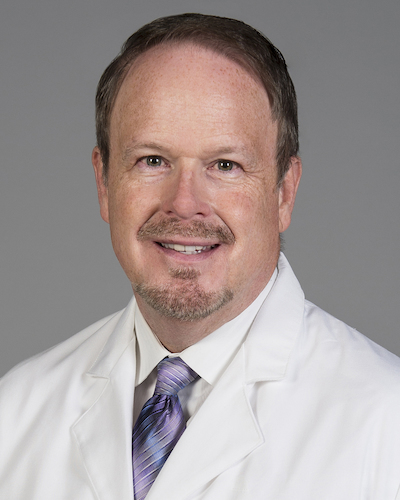 Dr. Seaberg also has held multiple positions at the University of Florida, where he was associate chair of the Department of Emergency Medicine and a professor of emergency medicine in the College of Medicine. In addition, he has experience working at the MetroHealth Medical Center, Case Western Reserve University School of Medicine, University of Pittsburgh and Erlanger Health System. He also is credited for his involvement in starting five emergency medicine residency programs, including those at the University of Tennessee, University of Florida and MetroHealth Medical Center. Dr. Seaberg is a Fellow and past president of the American College of Emergency Physicians, Diplomat of the American Board of Emergency Medicine and Fellow of the American College of Healthcare Executives. He earned his B.A from Washington University in St. Louis and his M.D. from the University of Minnesota School of Medicine. He completed his residency at the University of Pittsburgh. Founded by emergency medicine physician groups in Colorado, Florida, Maryland, Ohio and Texas and capital partner Welsh, Carson, Anderson & Stowe, USACS is the national leader in physician-owned emergency medicine, hospitalist and observation services. USACS provides high quality emergency and hospitalist care to over 6 million patients annually at more than 180 locations in 21 states, and is aligned with leading hospital systems across the country. Visit www.usacs.com to learn more.